Thin places with God don’t happen when we want them to happen. We try to manufacture them with spotlights and smoke machines, but most of the time God shows up in more unexpected places. 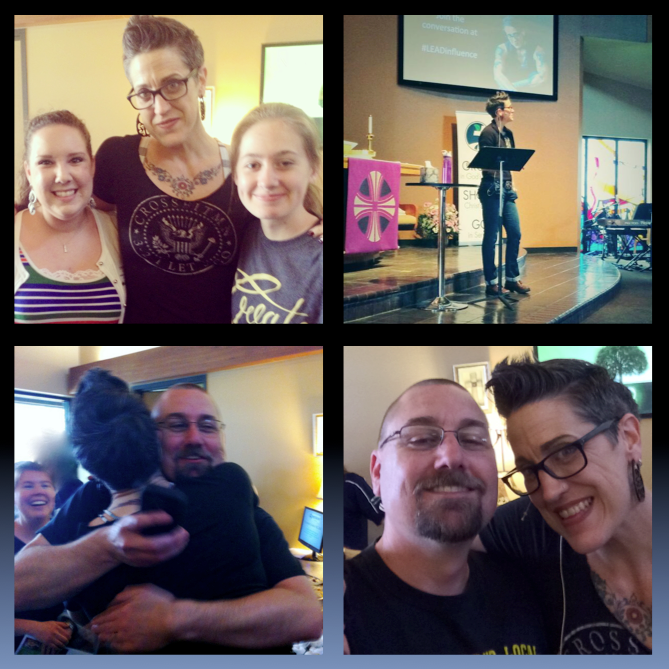 And for a few of us who went to listen to Nadia Bolz-Weber last Saturday, one of those thin places with God showed up when we least expected. More on that in a moment. Today, Tuesday, March 25, 2014, is a Christian holiday called the Annunciation of the Lord. It celebrates the day when the angel Gabriel announced to Mary that the savior of the world was soon to come through her. Talk about unexpected! Add to that the story of the Samaritan Woman* in John 4 that many of us preached this past Sunday. She was in every way “different” than the acceptable proclaimers of her time. She was a woman, divorced, and a non-Jew/non-Gentile reject. And yet she was the first preacher of Jesus. Go figure. I had already written my sermon on the Samaritan Woman by the time last Saturday rolled around when a number of us from Bering went to hear Nadia Bolz-Weber. If you do not already know her, she is often described as the pastor in Denver who is six feet tall and covered in tattoos. And it’s not that Nadia reminds me of the Samaritan Woman, but considering the Christian heritage that Nadia and I share in traditional Churches of Christ, let’s just say that she doesn’t fit the mold of what a preacher looks like. But to me as one Church of Christ preacher who at least used to fit the mold of what you are “supposed to look like,” I thought it was important to say something to Nadia Bolz-Weber publicly. Now, I didn’t ask for anyone’s permission; I just felt compelled to do this. But in an act of bold defiance, I spoke on behalf of the entirety of the Churches of Christ. And that made me sad. I was sad because this six-foot-tall, tattooed, female preacher was not allowed a voice in the tradition we both share. So during a question and answer period, surrounded by about twenty of my fellow Church-of-Christers and a whole lot of Lutherans, I raised my hand. At first, she called on someone else, and I rehearsed in my mind what I felt compelled to say. “I am a preacher…” I began, at which point everyone laughed because Nadia had just spent a few minutes commenting on the odd little world we preachers live in. I continued, “… at the Bering Drive Church of Christ.” More laughter, followed by Nadia’s bright eyes making a few comments about her growing up in Churches of Christ to make the connection. And that’s when Twitter lit up. Apparently someone running the show that day at the Lutheran Church put up a blurb on Twitter—or I think the proper term is “Tweeted”—that someone from the Church of Christ just apologized to Nadia. The response of people asking to hear more of the story is what led to this podcast, so there you go. But there’s a little more to the story. After lunch, I talked to Nadia for a minute, which was great. But what meant even more to me personally was getting to sit next to my 14-year-old daughter during the second session while Nadia further described God, ministry, church, and redemption. 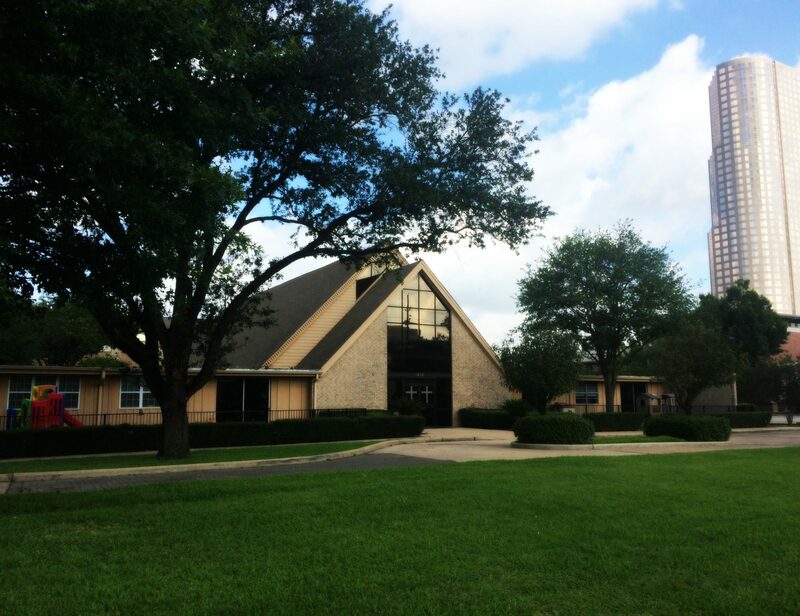 Go to beringfamily.org for more information on our church, and come see us this Sunday if you are in Houston. Follow us on Twitter @BeringDrive and like us on facebook at facebook.com/beringfamily.org. Let us go tell the story with our life and with our words. The title of this post is misleading. She didn’t get away. Not really. Sure, she left Churches of Christ and went Lutheran, a move that back in the day would have surely disqualified her from playing the real game. But thanks be to God, some of us who stayed and kept on trudging in the CoC look upon people like Nadia Bolz-Weber and hear a voice that has plenty to say from a tradition that might actually have something to contribute back to us. So a few of us from the Bering Drive Church of Christ went today to hear this woman who has a powerful voice in American Christianity, mainly because her voice continues to turn the conversation back to God, and how God is available to everyone. Bolz-Weber talks about God in a way that makes God accessible, as though God were actually interested in communion with all people. Sounds almost like something Jesus said. I sat next to my daughter during the last session. It was wonderful to sit next to her and listen together to a woman who spoke the Gospel with such beautiful sincerity. I wondered what my 14-year-old girl was thinking as she heard Nadia speak–(notice that in the course of a paragraph we are now on a first-name basis)–and as my daughter has watched her own youth minister at our church–(a woman, mind you)–preach a few times herself on Sunday morning. Would my daughter ever get up and speak this good news? Who knows? But I’m hopeful that we are entering a future where more than three places would listen.